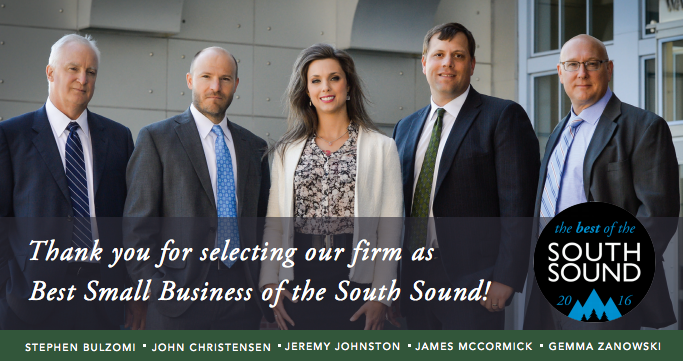 The Evergreen Personal Injury Counsel team is incredibly proud to announce that we were named “Best Small Business” by South Sound Magazine! We can’t thank our family, friends, peers, and clients enough for the continued support throughout the years. Although we’re honored to be recognized in our South Puget Sound community with this title, our dedication to providing the highest quality legal services comes from our relentless passion for the law, not for awards or recognition. In any case, we are so proud of the hard work and commitment of the entire EPIC staff throughout 2016 and beyond.